New Delhi, December 4, 2018: The Shiv Sena has advocated a compulsory family planning program for Muslims to ensure stability in the country and maintain national security. In an editorial in its mouthpiece Saamana on Dec. 4, the party linked a rise in Muslim population to “unrest in the country and challenges to national security”. The editorial cited a Border Security Force report to the Union Home Ministry that allegedly expresses concerns about an unexpected rise in Muslim population along the border with Pakistan in Rajasthan’s Jaisalmer. “The population of Indian Muslims is burgeoning at the speed of the bullet train, and enforcing family planning [on them] is the only solution,” the Bharatiya Janata Party ally claimed. The Saamana editorial also dismissed the stance of “some Hindutva groups” that want Hindus to abandon the “Ham do hamare do [two-child]” policy to counter the alleged increase in Muslim population. The Shiv Sena’s statement follows media reports about the paramilitary force’s report that purportedly highlights “the presence of radical elements who are suspected to be luring local people to pass on information relating to military movements”, The Telegraph quoted an unidentified official as saying. 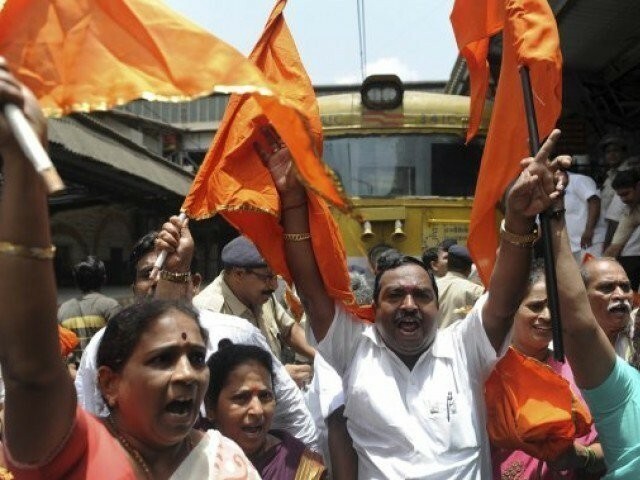 The Shiv Sena claimed the Muslim population in Pokhran “is exploding” and criticized the BJP-led governments at the Center and state for failing to restrict the rise in number of Muslims. The Shiv Sena claimed that BJP-led states were no different from states such as Assam and West Bengal, where the community’s numbers were significantly high allegedly because of the policies of the Congress, the Communist Party of India (Marxist) and the Trinamool Congress. “The national president of the BJP keeps making speeches about how he will remove illegal citizens from India and drive out intruders, but what about the ‘green invaders’ at the border in Rajasthan?” the Shiv Sena asked.